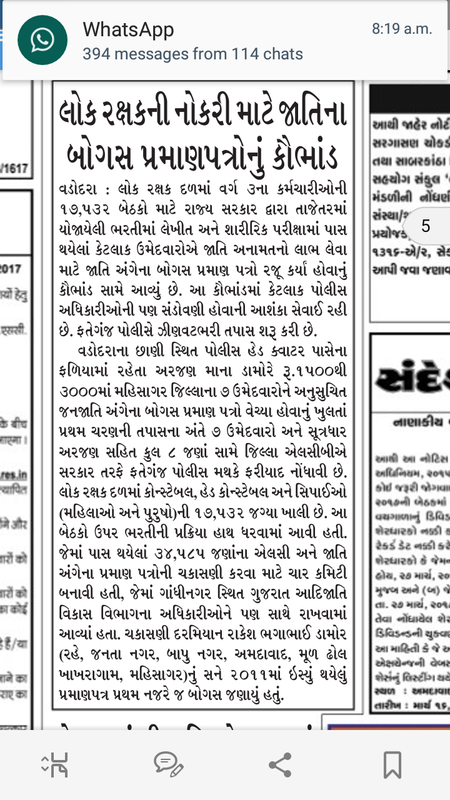 Lokraxak bharti board bogas jati Na certificate related news. →Lokraxak bharti board bogas jati Na certificate related news. Gujarat Police recruitment 2017 Bharti for constable, head constable, ASI, SI, Homeguard are here. Gujarat police bharti, vacancy details are available here. Gujaratpolice came into existence after separation from Mumbai on May 1,1960. The headquarters of Gujarat police is in gandhinagar, the capital of Gujarat . The (DGP) Director general of police leads the Gujarat police and the Gujarat police were the first to disclose the serial bomb-blast mystery in 2007- 2008.